Russell's allen head pipe plugs are manufactured from aluminum for strength and a show-quality finish. The allen head provides easy installation and a low-profile finish. Features a high quality blue or black anodized finish or Russell's unique ultra-bright Endura finish that simulates the appearance of stainless steel. 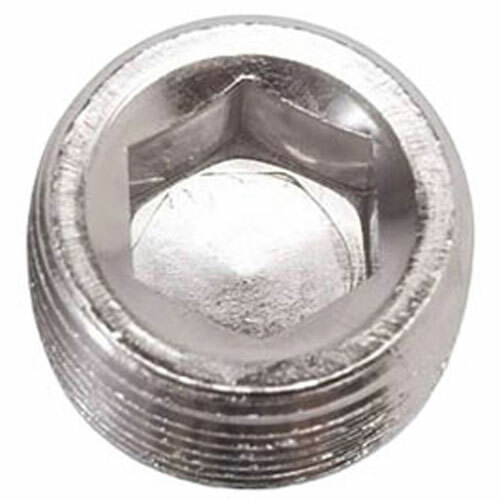 662061 - Russell NPT Pipe Plugs is rated 1.0 out of 5 by 1. Rated 1 out of 5 by Rods76c10 from Weak Put these in my intake. Need to remove one and the Allen portion the middle stripped out. Now I have to figure out how to remove it. Should have bought steel. I will never buy these again. ARP 100-9904 - Thread Sealer 1.69 oz.